Marjorie "Margie" LouElla Howes, 84, passed away on Saturday, April 4, 2015, at the Fair Meadow Nursing Home, Fertile, Minnesota. She was born on March 3, 1931, to Leonard and Florence (Plante) Solie, north of Fertile, Minnesota. She was baptized and confirmed in the Lutheran Faith. Margie attended country school near her home, and following her schooling, she worked on the family farm. As she grew older, Margie worked as a waitress in Fertile. On May 1, 1954, Marjorie was united in marriage to Vernon Howes, from Fosston, Minnesota, at Concordia Lutheran Church, Fertile. After their marriage they moved to Hibbing, Minnesota, and from there to Wadena, Minnesota. In 1961, they returned to Fertile and purchased "Margie's Cafe." Eventually they moved to Montana -- first to Great Falls and then Helena. While in Great Falls, Margie and Vernon adopted Terry Scott and Tracy Lynn into their family. In 1971, they returned to Fertile to raise their children. In 1979, Margie and Vernon opened their home to Shelby Saleh, a foreign exchange student from Jakarta, Indonesia. They moved to Fertile in 2000. Vernon passed away in 2001 and Terry passed away 2005. Margie enjoyed cooking and entertaining family and friends. Visiting with others and sharing her ideas came naturally to her. She took great pride in her gardens, canning and sewing for others. She was devoted to her family, both her immediate family and extended. Margie is survived by one daughter, Tracy Howes, Fertile; one daughter-in-law, Wendy Howes, Fargo, North Dakota; eight grandchildren; two brothers, Walter and Willard (Donna), both of Fertile; two sisters, Vanna (Roger) Raaen and LaVonne (Merlin) Raaen, both of Fertile; many nephews, nieces and great-nephews and nieces; one foreign exchange student/son, Shelby Saleh and family, Indonesia. She was preceded in death by her parents; husband, Vernon; son, Terry; one brother, Vernon Solie; and three sisters: Donna Jensrud, Doris Jensrud, and Madeline Jagol. Funeral services will be on Saturday, April 11, 2015, at 11 AM the Concordia Lutheran Church, Fertile, Minnesota. Visitation will be on Friday, April 10, 2015, from 5-7 PM with a prayer service at 6:30 PM, in the Concordia Lutheran Church, Fertile, Minnesota. Burial will be in the Concordia Lutheran Cemetery, Fertile, Minnesota. Lorna Kay (Strom) Jorgens, 55, of Euclid, Minnesota, died late Saturday evening, March 28, 2015, at Altru Hospital in Grand Forks with her husband, Jeff, and family at her side. Lorna was born at Crookston on November 29, 1959, the daughter of Wallace and Audrey (Pederson) Strom. She attended Crookston public schools and graduated from Central High School in 1978. Lorna then enrolled in Art School at Thief River Falls, Minnesota. She later met and married Arlin Volker in the fall of 1981. A son, Seth, was born to their union in 1982. Lorna was employed by RiverView Hospital in Crookston for twenty-three years, and cared for each and every patient as if they were her own family. In 1999 she moved to a farm near Euclid, Minnesota, where she had her beloved animals, and it became her "hobby farm." On July 1, 2005 she was united in marriage to Jeffrey Jorgens and they continued to make their home on the farm to the present time. Lorna was one of a kind. Anyone who met her would never forget her, and she had a way of making everyone feel special. She loved animals, second-hand stores, antiques, entertaining, cooking, and reading cookbooks. Lorna also liked visiting with people, whether in person or on the telephone. She loved her family dearly, but her three grandchildren, especially, had her heart. Lorna will be very sadly missed by all who were part of her life. She is survived by her beloved husband, Jeff, of Euclid, Minnesota; her son and daughter-in-law, Seth and Amanda Volker of Crookston; her three precious grandchildren: Wyatt, Elsie, and Audrie Volker; two nieces, Stephanie Strom of Commerce City, CO and Alanna Strom of Crookston; a nephew, Kell Strom of Kelso, WA; and other extended family. Lorna was preceded in death by her parents, Wallace and Audrey; three brothers: Allen, Daniel, and Ronald Strom; her sister, Linda Yanish; and two nephews, Christopher and Nevin Strom. May God bless Lorna's memory. A memorial service celebrating the life of Lorna Kay (Strom) Jorgens will be held at 6:00 p.m., Thursday, April 2, 2015, at the Stenshoel-Houske Funeral Home in Crookston with The Rev. Bill Reck, officiating. Visitation will be that day from 4:00 p.m. until the time of the service. Inurnment will at the Oakdale Cemetery in Crookston at a later date. Sister Margaret Ann Eischens, 92, died Sunday, Dec. 7, 2008 at Villa Saint Vincent Nursing Home in Crookston. She was born May 20, 1916 to Christian and Mary Elizabeth (Dirkes) Eischens in Two Inlets. She attended a rural elementary school before attending Mount Saint Benedict Academy in Crookston for high school. She entered the novitiate in 1935 at Mount Saint Benedict and received the name Sister James. She later returned to her baptismal name, adding Ann in place of Barbara. She taught in elementary schools in Asherton, Texas, Moorhead, Crookston, Bemidji, Detroit Lakes and East Grand Forks. During the summers she taught in the Mexican migrant program and also taught religious education classes in various parishes. In 1968 she was asked to go to Bogota, Colombia, South America, to teach in the elementary school at Colegio San Carlos, a school started by the monks of Richardton, N.D. In 1979 she began teaching English as a second language at Colegio San Benito, a high school for the poor in North Bogota. When she retired from teaching, she began a ministry of social work with the poor until she returned to the United States in 1993. After returning to the states, she spent two years at Sacred Heart Convent in East Grand Forks. In 1995 she went to Oslo to be a sister companion. In the summer of 2002, became a volunteer at Care and Share, a shelter for the homeless in Crookston. She is survived by one brother, Leonard (Audrey), of Park Rapids; three sisters: Bernadette Lemert, of Mankato, Helen Kilstrom, of Windsor, Colorado, and Genevieve Berry, of Inyokern, Calif.; and many nieces and nephews and members of her religious community. She was preceded in death by four brothers: Robert, Marcus, Thomas and Urban; and two sisters: Dorothy and Theresa. Mass of Christian Burial: 11 a.m. today (Wednesday), Dec. 10 at Mount Saint Benedict Monastery in Crookston, with Msgr. Roger Grundhaus as celebrant and homilist. Memorials may be made to Mount Saint Benedict Foundation, 620 Summit Ave., Crookston, Minnesota 56716. Curtis James Quam, age 56, of Fosston, Minnesota, passed away on Easter Sunday, April 5th, at Essentia Health Hospital in Fargo, North Dakota. A memorial service will be held at 3:00 p.m. on Saturday, April 11th, at Kingo Lutheran Church in Fosston with the Rev. Dan Cole officiating. Interment will be in Kingo Lutheran Cemetery, Fosston. Family will greet friends for one hour prior to the service on Saturday at the church. Arrangements are with the Carlin-Hoialmen Funeral Home of Fosston and messages of condolence may be sent at carlinhoialmen.com. Curtis James Quam, age 56, of Fosston, Minnesota, passed away on Easter Sunday, April 5th, at Essentia Health Hospital in Fargo, North Dakota. A memorial service will be held at 3:00 p.m. on Saturday, April 11th, at Kingo Lutheran Church in Fosston with the Rev. Dan Cole officiating. Interment will be in Kingo Lutheran Cemetery, Fosston. Family will greet friends for one hour prior to the service on Saturday at the church. Arrangements are with the Carlin-Hoialmen Funeral Home of Fosston and messages of condolence may be sent at carlinhoialmen.com. Curtis James Quam was born on March 10, 1959 in Fosston, Minnesota to Pervin and Jean (Torkelson) Quam. He graduated from Fosston High School and Moorhead Community College and also attended MSU-Moorhead. Curt worked for his father's business, Quam Construction, for many years and like his father, developed a love of woodworking. He often gifted family with handcrafted projects � lawn ornaments, toy boxes, shelves, stools and the like. Curt had a passion for books. He could often be seen at the picnic table in his back yard, reading the latest Stephen King or John Grisham novel under the trees with a cool breeze blowing. He enjoyed the outdoors -- camping, fishing, and gardening. He loved going to Cross Lake and catching a few fish off the dock. He enjoyed great fellowship and camping with his buddies at the Lake Itasca Region Pioneer Farmers group -- helping to keep pioneer farming traditions alive. Each August he attended the Lake Itasca Family Music Festival, enjoying the outdoor music festival. He grew a great vegetable garden and shared raspberries and strawberries with family and friends. His special cherry tree provided fruit for a potential pie. He offered up bouquets of lilacs from his back yard, or a rose blossom from the front. Curt could often be seen taking his walk around the neighborhood, sometimes stopping to chat with neighbors. Curt loved car racing -- at the West Fargo and Ada Speedways as well as on the ice in Erskine and Nascar on TV. Curt treasured good times with Fosston's Class of '77 -- reuniting and sharing memories. Curt was a thoughtful person, a gentle soul and a good friend. His kindnesses were many. His determination was admirable. When he set his mind to something, it was done. If a challenge arose, he met it head on. Most of all, Curt loved his family and taught us so much about appreciating the simple things in life. When his father died 20 years ago, Curt stepped in and became his mom's "rock" and constant companion. Curt left this earthly world for his heavenly home on Easter Sunday, April 5, 2015 surrounded by his loving family. Curt was survived by his mother, Jean; sister, Deb (Gary) Watne; brother, Gary (Twila); nieces, Amy (Jon) Paul and Kari (Matt) Kramer; nephews, Brandon and Christian Quam; great nieces, Jallison and Lucylia Paul; and great nephew, Garrison Kramer. Curt was preceded in death by his dad, Pervin Quam; uncle, Art Quam; and grandparents, Alice and Edwin Quam. Albert "Sonny" Chruszch, 79, of Angus, Minnesota, passed away on Friday morning, April 3, 2015 at Villa St. Vincent in Crookston, Minnesota. Albert Richard Chruszch was born on September 10, 1935 in Fayette, North Dakota, the son of Nick and Mary (Shypkowski) Chruszch. He was raised in the Thief River Falls, Minnesota, area and graduated from Northwest School of Agriculture of Crookston, Minnesota, in 1953. Albert was confirmed at Melo Lutheran Church of Angus. On March 1, 1958, he was united in marriage to Marilyn Gulseth at Zion Lutheran Church in Thief River Falls. They made their home in Brandt Township, Polk County, Minnesota, where they farmed. He also had worked in maintenance for a short time at Northwest Medical Center in Thief River Falls. Sonny enjoyed hunting and fishing. He loved spending time at the lake with his grandchildren. Sonny's heart was always in the land of his farm, through the good and the bad years. He loved being in a tractor, his dairy cows and the peacefulness of his farm. He served on the Melo Lutheran Church and Angus Co-op Elevator boards. Sonny was named Master Farmer in 1985 by the Warren Chamber of Commerce. Left to mourn his passing are his wife of 57 years, Marilyn of Angus, Minnesota; daughter, Dawn (Jeff) Olson of Woodbury, Minnesota; grandchildren, Lucas Olson and Kaia Olson, great-grandchild, Quinton Olson; sisters, Alice (Ray) Swanson of Warren, Minnesota; Agnes Paulin of Denver, Colorado, and Julie (Dennis) Fillipi of Faribault, Minnesota, several nieces and nephews and Godchildren, Kathy Williams, Shawn Fillipi and Mark Swanson. He was preceded in death by his parents; daughter, Tracy Lynn and sister, Nell Bade. FUNERAL SERVICE: 10:00 AM on Thursday, April 9, 2015 at Our Saviors Lutheran Church in Warren, Minnesota. VISITATION: 5:00 - 7:00 PM on Wednesday at DuBore Funeral Home in Warren, Minnesota, and one hour before services at the church on Thursday. INTERMENT: Melo Lutheran Cemetery, rural Angus, Minnesota. Former Detroit Lakes resident Sister Anne Goulet, 97, of Mount Saint Benedict Monastery, Crookston, Minn., died July 12, 2005, at Villa St. Vincent, where she had resided since March 19, 2004. Rose Anna Goulet was born in Crookston, on March 11, 1908, the first of five children born into the family of John and Alphonsine (St. Martin) Goulet. In September 1923, when the still incomplete Mt. St. Benedict Academy opened its doors, Rose was among the boarding students. Compelled by a desire to dedicate her life to the service of God, Rose joined the Benedictine Community at Mt. St. Benedict in December 1924, and made her permanent monastic profession in 1929. Sister Anne became a registered nurse in 1931. She went on to take a training course in x-ray technology in Chicago, and in 1941, she became a medical laboratory technician and a registered x-ray technologist. In 1949, Sister Anne was put in charge of the x-ray and laboratory departments at St. Anthony Hospital in Mahnomen, at the same time serving as administrator of the 25-bed hospital. At St. Marys Hospital in Detroit Lakes, she supervised laboratory, x-ray and emergency services and initiated St. Mary's School of X-ray Technology and the Becker County Blood Bank, later known as the C.W. Moberg Memorial Blood Bank. In 1955, Sister Anne collaborated with Eileen Mahoney Oxley to organize the St. Mary's Hospital Auxiliary, an enterprise which became the most rewarding experience of Sister Anne's 28 years at St. Mary's. Under her guidance, auxiliary volunteers known as Pink Ladies, Blue Men and Candy Stripers went into action in every department of the hospital. From 1963-71, as assistant administrator and personnel director, Sister Anne organized the Pastoral Care Department, which she directed until her retirement in 1978. She was active in the Detroit Lakes Business and Professional Women's Club (BPWC), a group that named her Woman of the Year in 1976. After her retirement from hospital work, Sister Anne did home nursing in Fargo, East Grand Forks and Bemidji. In 1986, she returned to Mt. Saint Benedict, where she was involved in pastoral care for the sisters in the monastery's Health Center and indulged in her favorite hobby, cutwork embroidery. She returned to Detroit Lakes in 1991 to be a member of a small community of sisters serving Holy Rosary Parish. Sister Anne returned to Mt. St. Benedict Monastery in May 1998. She became a resident of the monastery Health Center in April 2001, and was transferred to Villa St. Benedict due to ill health in 2004. Sister Anne is survived by the members other monastic community, which includes Sister Florentine, her sister, two nephews and several nieces, cousins and other relatives. She was preceded in death by her parents; an infant sister, Evelyn; a brother, Leonard Goulet; and a sister, Caroline Brunelle. Visitation for Sister Anne will be held today (Sunday) from 4:30 to 8 p.m., in the chapel at Mt. St. Benedict Monastery, with a prayer service at 7 p.m. A mass of Christian burial will take place at 10:30 a.m. on Monday, July 18, in the chapel, with Msgr. Roger Grundhaus as celebrant and homilist. Memorials in honor of Sister Anne Goulet may be given to Mt. St. Benedict Foundation, 620 Summil Ave, Crookston, Minnesota 56716. Arrangements are being provided by Stenshoel-Houske Funeral Home, Crookston. Interment: Mount Saint Benedict, Crookston, Minnesota. Eunice Quesnel, age 96, of Oklee, Minnesota, passed away on Monday, April 6th, at Essentia Health Living Center in Fosston. A Mass of Christian Burial will be held at 3:00 p.m. on Friday, April 10th, at St. Francis Xavier Catholic Church in Oklee with Father Bill DeCrans presiding. Interment will be in St. Anthony Catholic Cemetery, Terrebonne, MN. Visitation will be held for one hour prior to the service on Friday at the church. Arrangements are with the Carlin-Hoialmen Funeral Home of Fosston, MN and messages of condolence may be sent at carlinhoialmen.com. Eunice was born near Oklee, Minnesota on September 24, 1918, to Laura Gibeau Bernier and Alfred Bernier. She was a graduate of Oklee High School, and in 1940, she married Ralph Quesnel. Eunice and Ralph farmed near Mentor. After Ralph passed away, Eunice continued to live on the farm in the summer and in Red Lake Falls in the winter. In 2010, she moved to Freedom Living Center in Oklee where she resided for four years. She then moved to First Care in Fosston in 2014. Eunice was a talented seamstress, completed many kinds of needlework, and did sewing and alterations for many of her friends. She enjoyed traveling, gardening, music and reading. She was a longtime parishioner of St. Anthony's Parish in Terrebonne and a member of AFRAN and the Red Hat Society. She was preceded in death by her husband, Ralph, an infant son, Alan, four sisters, one brother, and one nephew. She is survived by two daughters: Kathy Arndt (Tom) of Columbia, PA and Gloria Lesher (Lee) of Colorado Springs, CO. Also surviving are four grandchildren: Gregory Arndt (Julia) of Red Lion, PA, Susan Veldheer (Neal) of Landisville, PA, Todd Lesher (Jess) of Mukilteo, WA and Scott Lesher of Colorado Springs, CO. She has six great-grandchildren: Justin and Michael Arndt, Alex and Sabine Lesher, and Isaac and Eleanor Veldheer. Daniel "Carly" Carlson, age 56, of McIntosh, Minnesota, passed away on Friday, April 10th, at Altru Hospital in Grand Forks, North Dakota. A memorial service will be held at 11:00 a.m. on Saturday, April 18th, at Our Saviors Lutheran Church in McIntosh with the Rev. Melody Kirkpatrick officiating. Interment will be in Our Savior�s Lutheran Cemetery. Family will greet friends for one hour prior to the service on Saturday at the church. Arrangements are with the Carlin-Hoialmen Funeral Home, serving McIntosh. 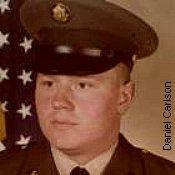 Daniel Mark Carlson was born on August 28, 1958 in Fosston, Minnesota to parents Hilmer and Violet Engen Carlson. He was baptized and confirmed at Our Saviors Lutheran Church in McIntosh and graduated from McIntosh High School in 1976. Following high school, he joined the U.S. Army National Guard and proudly served for the next 25 years. From 1977 until the current time, Danny worked as a painter for a painting contractor. He lived in Bemidji and McIntosh. In his younger years he enjoyed stamp collecting and golfing. Most of all he enjoyed time spent with his friends and family. He is survived by four uncles, Bob (Shirley) Engen of Minneapolis, Alvin Engen of Minneapolis, Marvin (Gayle) Engen of Wisconsin and Lloyd (Phyllis) Engen of Clearbrook. Many cousins and friends also survive. He was preceded in death by his parents; and sister, Diana Carlson. Timothy A. Wiertzema, age 55 passed away unexpectedly on Thursday, April 9, 2015 at his home in East Grand Forks, Minnesota. Timothy Aaron Wiertzema was born on January 10, 1960 in Grand Forks, North Dakota, the son of Calvin and Myrtle (Torgenson) Wiertzema. Timothy grew up and attended school in East Grand Forks, Minnesota, where he graduated from East Grand Forks Senior High School in 1979. Following his high school graduation, he worked for American Crystal Sugar Company in East Grand Forks for over 25 years. He then began employment at Simplot in Grand Forks, North Dakota, and was employed there for almost three years up until the time of his death. In his spare time he enjoyed remodeling his home room by room, classic cars, and rock music. He will be forever remembered for his infectious laughter, selfless ways, and his determination to overcome his personal hardships and addictions. Family members of Timothy include his children, Danielle Wiertzema of Ocean City, New Jersey, Tyler Wiertzema of Fargo, North Dakota, Teanna Wiertzema of Grand Forks, North Dakota, and the mother of his children, Becky Horn of East Grand Forks, Minnesota; siblings, Milan (Alice) Wiertzema of Grand Forks, North Dakota, Charlotte (Terry) Carver of Brunswick, Georgia, Gerald Wiertzema of Harvey, North Dakota, Roland Wiertzema of Hermantown, Minnesota, Allen Wiertzema of Austin, Texas, Winona Patrick of San Diego, California, and Sheila (Rick) Currier of Sheboygan, Wisconsin. Timothy is preceded in death by his parents and one brother Daniel Wiertzema. Funeral Service: 2:00 P.M. on Tuesday, April 14, 2015 in Bethany Lutheran Church, 10321 State Highway 220 NW, East Grand Forks, MN. Visitation: One Hour prior Funeral Service on Tuesday, April 14, 2015 in Bethany Lutheran Church. Luella Martin, age 92, of East Grand Forks, Minnesota, passed away on Wednesday, April 8, 2015 at the Good Samaritan in Larimore, North Dakota. Luella was born on January 18, 1923, in Mekinock, North Dakota, to the late George and Alice (Mather) Hagen. She grew up in Gilby, North Dakota and graduated from Gilby High School. Afterwards she joined the US Navy, which took her to New York, where she met and married John Martin on April 8, 1944. She then attended Aaker's Business College and worked for Lockwood Graders in Grand Forks, Grand Forks Bike Shop, and East Grand Forks Water and Light until her retirement in 1986. She was a lifelong member of the East Grand Forks American Legion. Luella is survived by her children, Jeannie (Bob Gooden) Jorgenson of East Grand Forks, Minnesota; Kristie Martin of East Grand Forks, Minnesota; Connie (Dale) Dahlen of East Grand Forks, Minnesota; Robert Martin (Tami) of East Grand Forks, Minnesota; Patricia Willoughby of Dry Ridge, Kentucky; 18 grandchildren; 27 great-grandchildren; brothers, Hubert (Corrine) Hagen of Gilby, North Dakota and Donald (Cheryl) Hagen of Dallas, TX; and special friend, Richard Mahowald of Grand Forks, North Dakota. Luella was predeceased by her husband John Martin on October 15, 1985; her parents; brother, Darwin Hagen; sister, Lorna Sanders; children, Alice Otto and Michael Martin; and grandchildren: Amber Smart, Krista Carlson, Jason Zak, and Christopher Merrill. In lieu of flowers memorials to Sacred Heart Catholic Church are preferred. Funeral Service: 11:00 am, Monday, April 13, 2015 at Sacred Heart Catholic Church in East Grand Forks, Minnesota. Paul "Burly" F. Burlingame, 57, Fertile, Minnesota, died Friday, April 10, 2015, after a short illness, with his family by his side, at Altru Hospital, Grand Forks, North Dakota. Memorial Service: 2 P.M. Friday, April 17, 2015, at Resurrection Free Lutheran Church, Beltrami, Minnesota. Paul Frederick "Burly" Burlingame, age 57, of Fertile, Minnesota, passed away April 10th, 2015 at Altru Hospital in Grand Forks, North Dakota, as a result of a stroke. Paul was born December 22, 1957 in Crookston, Minnesota, to Frederick and Diane (Larson) Burlingame. Paul and his sister Ann together with their parents, lived in Crookston, Wadena, Moorhead and Dauphin Island, AL while their father served in the U.S. Air Force. They spent many summers at their grandparents' farmstead in Fertile, Minnesota, and Paul gained a love and appreciation for nature, hunting and fishing at a very young age. In addition to deer, bird and small game hunting, Paul enjoyed gardening and was a master fly-fisherman; he had been hand-crafting lures, or "tying flies" for nearly 40 years. He passed his values of a love for nature, and taking care of one another as well as his tremendous work ethic, to his sons. Paul, his father Fred, Lyle and Aaron enjoyed Minnesota whitetail deer hunting seasons in Fertile and fishing together throughout Minnesota, including a tradition of regular summer retreats to their favorite trout hole, Bad Medicine Lake. Paul was an excellent photographer, a great dancer, and enjoyed playing on a softball league as well as coaching his sons' youth baseball team, The Rockies. A man with a deep faith in God, Paul was a serious student of the Bible, leaving behind a journal of scripture notes offering insight into his faith. His greatest loves were his two sons, Lyle and Aaron; they were his pride and joy. Irene B. Anderson, 91, Halstad, Minnesota, died Wednesday, April 8, 2015, at the Halstad Living Center, Halstad, Minnesota. Irene Strand Anderson was born on a farm near Shelly, Minnesota, on December 6, 1923. Her parents were Magnus and Bella (Aanenson) Strand. She went to Country School Dist. # 17 and later graduated from Climax High School. She married Melvin Anderson in 1942. After the war they farmed near Shelly until their retirement. In 1990, they moved to Halstad. They also spent time at their home on Lake Maud. Melvin passed in 2005. Irene lived her last three years at the Heritage House in Halstad. Survivors include one son, Melvern Anderson, St. Louis, Missouri, one daughter, Cheryl Hemberger, Audubon, Minnesota, five grandchildren, David (Jane) Anderson, Jim (Ceri) Anderson, Cristy (Andy) Francis, Mark Hemberger, Jamie (Amber) Hemberger, nine great grandchildren, Annika and Abby Anderson, Jared and Jonathan Anderson, Zach and Ryan Francis, Addison Irene Hemberger and Joe and John Hemberger, and one brother, Vernon Strand. Preceding her in death were her parents, husband of sixty-three years, Melvin, three brothers, Arvid, Maurice, and Floyd, one sister, Geneva and daughter-in-law, Linda Davidson Anderson. Funeral: 2:00 P.M., Monday, April 13, 2015, at Shelly Marsh River Lutheran Church, Shelly, Minnesota. Visitation: 2-4 P.M. Sunday with a 3:30 P.M. prayer service at the Halstad Living Center Chapel. Burial: Zion Lutheran Cemetery, rural Shelly. Agnes Juliet Dale, 95, of Fertile, Minnesota, died on Tuesday, April 7, 2015, at the Riverview Hospital, Crookston, Minnesota. She was born on December 6, 1919, to Oscar and Anna (Seim) Moen at Fertile, Minnesota. She grew up in Fertile, graduating from the Fertile High School in 1937. Following her schooling, Agnes worked in Crookston, Minnesota, for Ottertail Power as a receptionist and posting clerk prior to working the in the Accounting Department. Agnes was united in marriage to Harry Dale on October 11, 1947, at Concordia Lutheran Church, Fertile. They lived on the Dale home farm East of Fertile. Playing the piano and organ for church services at Little Norway Lutheran Church for over 25 years was an act of love for Agnes. Over the years, she accompanied many soloist and choirs, including the Odin Male Chorus. Agnes was busy at home as a farmer�s wife and in the church Women's groups. Harry and Agnes joined Maple Bay Free Lutheran Church, at Maple Bay, Minnesota, in the early 1990's. In 1999, Harry's kidneys failed and he went on dialysis, with Agnes providing his care until he entered the Fair Meadow Nursing Home in 2001. Harry died on July 2, 2003. Agnes entered the Fair Meadow Nursing Home on February 21, 2014. Agnes was a proper lady who enjoyed visiting with friends and family. She enjoyed reading and Bible studies, as well as playing the piano to relax. Working on embroidery projects gave her a sense of accomplishment. Agnes loved animals, especially cats and dogs. Agnes is survived by many nephews, nieces, and cousins. She was preceded in death by her parents, husband, one brother, Lloyd and one sister, Mildred Zerbin. Funeral services will be held at Maple Bay Free Lutheran Church, Maple Bay, Minnesota, on Friday, April 10, 2015, at 11 AM. Visitation will be one hour before the service in the church. Burial will be in the Little Norway Lutheran Cemetery, Fertile, Minnesota. Sister Alexine Braun, 82, of Mount Saint Benedict Monastery, Crookston, Minnesota, died at Villa Saint Vincent, June 29, 2007, where she had resided since November, 2001. Salome Angeline Braun was born in St. Cloud, Minnesota, the first of seven children in the family of John and Veronica (Weyrauch) Braun. Salome grew up on the family farm near St. Joseph, Minnesota, and attended the parochial school. She continued her education at the College of St. Benedict and St. Cloud State College. After college she chose to remain home to help her mother who was ill. During these two years, she remained active in 4H work while helping care for a household of ten, including her paternal grandfather. In 1947, when her mother recovered her health, Salome joined the Sisters of Saint Benedict of Crookston, making her permanent commitment as Sister Alexine in 1952 . Sister Alexine began her teaching career in parochial schools in Bemidji, Crookston, Detroit Lakes, Mahtomedi and Red Lake Falls. Always interested in science, she pursued a Bachelor of Science degree at the College of St. Teresa, Winona, Minnesota, and a Master of Science degree at the University of North Dakota in Grand Forks, Noth Dakota. After ten years at Sacred Heart High School, East Grand Forks, Minnesota, Sister Alexine accepted a teaching position at Mary College, Bismarck, North Dakota. When she was offered an assistantship at Texas Women's University, Denton, Texas, Sister Alexine began work on her doctorate in molecular biology. Upon completion of her work, she reported the results of her research at the first International Congress of Plant Molecular Biologists in Atlanta, GA.
After receiving her doctorate, Sister Alexine held an interim position at St. Mary's College in Winona while the head of the biology department was on sabbatical leave. During the next seven years she was employed at American Crystal Sugar Company in Moorhead, Minnesota, doing research. She gave presentations at national sugar beet meetings in Phoenix and New Orleans. After retiring from American Crystal, Sister Alexine served as an adjunct professor at Concordia College, Moorhead, and Moorehead State University until 1994. Returning to Crookston she served in the pastoral care department at Villa Saint Vincent until 1999. Because of health problems, Sister Alexine became a resident in the health center at Mount Saint Benedict Monastery from January, 2000 until November, 2001, when she was transferred to Villa Saint Vincent, Crookston, Minnesota. Writing about her religious vocation, Sister Alexine declared that in all her years as a member of Mount Saint Benedict Monastery, she had never regretted her choice of religious life. "I've been happy; I've been blessed. I have come to know many wonderful people I would never have known had I not been a religious. I have found the hundred-fold promised to those who follow Christ." Sister Alexine was preceded in death by her parents and a brother, William. She is survived by three brothers, Ralph (Mary) of Edina, Minnesota, and Margate, Florida, Roger (LaVerne) of Sauk Rapids, Minnesota, and Mesa, Arizona, and Jack (Laurie) of Rochester, Minnesota, two sisters, Roseann Lilledahl, LeSeur, Minnesota and Alice (Robert) Kramer of Paris, Illinois, several nieces and nephews and other relatives and by the members of Mount Saint Benedict Monastery. Visitation for Sister Alexine was Sunday, July 1st, with a prayer service at 7 P.M. in the chapel at Mount Saint Benedict Monastery. The Mass of Christian Burial was held be on Monday, July 2, at 10:30 A.M. Msgr. Roger Grundhaus was the celebrant and homilist. Joan Marie Tierney, 68, of Fertile, Minnesota, and formerly of Crookston, died Monday evening, April 6, 2015, at RiverView Health in Crookston. Joan was born on April 28, 1946, at Grand Forks, North Dakota, the daughter of Elwin and Barbara (Lankas) Fontaine. She grew up in Inkster, North Dakota, where she received her education. Joan was united in marriage to Roy Pierson and from their union three sons were born: Jeffrey, Timothy, and Rodney. She later married Patrick Tierney and they lovingly welcomed a son, Gerald, to the family. Joan made her home in Crookston for many years, and became a resident of the Fair Meadow Nursing Home in Fertile a year ago. She will be very sadly missed by her family and friends. 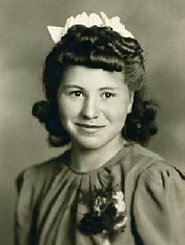 Joan is survived by her sons: Tim (Tami) Pierson of Crookston, Minnesota, Rodney Pierson of Manvel, North Dakota, and Gerald Tierney of Thief River Falls, Minnesota; 10 grandchildren; six great-grandchildren; a brother, Elwin "Red" Fontaine Jr. of St. Paul, Minnesota, and other relatives. She was preceded in death by her parents; a son, Jeff Pierson; two brothers, Jerry and Sonny Fontaine; and a sister, Donna Lucht. May God richly bless Joan's memory. A memorial service for Joan Tierney will be held at 2:00 p.m., Friday, April 17, 2015, at the Stenshoel-Houske Funeral Home in Crookston with The Rev. Bill Reck, officiating. Visitation with the family will be for one hour prior to the service. Theodore T. "Ted" LaFleur, 90, of Crookston, Minnesota, died Tuesday, April 7, 2015, at RiverView Health in Crookston, with members of his family at his side. Ted was born on the family farm, east of Crookston, on December 3, 1924, and was the son of William and Rica (Gelder) LaFleur. He attended country school and Crookston public schools, and after working on the farm for several years entered the US Army on January 1, 1945. During World War II Ted served in the Asiatic-Pacific Theater of Operations, spending most of his time at Okinawa. While home on leave, he was united in marriage to Fern Violet Carlson on July 25, 1946 at the First Christian Reformed Church in Crookston. Ted returned to Okinawa a month later, serving until his honorable discharge on May 8, 1947. For his service to his country he was awarded the Good Conduct Medal, Asiatic-Pacific Theater Ribbon, the World War II Victory Medal, and the Japan Occupation Medal. Upon his return to Crookston, and reunion with Fern, Ted began working at the Crookston Milling Company. On November 29, 1949 he earned a diploma in radio repair from the Sprayberry Academy of Radio, and in March of 1951 began operating Ted's Radio Service out of his home. In late 1957 he entered into a partnership with Leo Boucher and Ardelle Hagen, establishing a new Crookston business known as Northwest Appliance. March, 1968 marked the start of his ownership of Ted LaFleur TV and Electronics, which he ran until retirement in 2012. Ted proudly worked alongside his son, Dennis, for the last 25 years of operation. Ted was a very devoted, lifelong member of the First Christian Reformed Church, where he served as an Elder for many years. He kept young by doing as many as 4 crossword puzzles a day. Ted was an avid Twins fan, and enjoyed outings to the local casinos, going out to eat, and coffee time at RBJ's. Traveling to visit family in Michigan, Las Vegas, Arizona, and the Iron Range were always fun times to look forward to, as were the annual trips to the Minnesota State Fair. Ted's greatest joy was sharing his life with Fern, and he loved their family with all his heart. He was especially proud of his grandchildren and all their accomplishments. Ted is survived by Fern, his beloved wife of 68 years; their three children and families: Bill and Kim LaFleur of Apache Junction, Arizona, Dennis LaFleur of Crookston, Minnesota, and Susan and Bill Doran of Gilbert, Minnesota; three grandchildren: Barb LaFleur Durden of Minneapolis, Matthew Doran of Gilbert, and Jodi (Will) Enlow of Crookston; and eight great-grandchildren. He also leaves three siblings: Eleanor Morrisey of Rogers, Minnesota, Roger LaFleur of Wyoming, Michigan, and Dorothy Ogden of Battle Creek, Michigan; a sister-in-law, Dorothy Hegg of Las Vegas, Nevada; and several nieces, nephews, and other relatives. Ted was preceded in death by an infant son; his parents; daughter-in-law, Cindy LaFleur; grandson, Jason Clemenson; grandson-in-law, John Durden; parents-in-law, William and Julia Carlson; brother and sister-in-law, Richard and Tillie LaFleur; sister and brother-in-law, Edna and Frank Hosmer; and brothers-in-law and sister-in-law, Charles Morrisey, Angie LaFleur, Bob Ogden, and Paul Hegg. Blessed be Ted's memory. The funeral service honoring the life of Ted LaFleur will be held at 2:00 p.m., Monday, April 13, 2015, at the Stenshoel-Houske Funeral Home in Crookston with Pastor David Johnson, officiating. Visitation will be for one hour prior to the service. Interment with military honors will be in the Oakdale Cemetery, Crookston. Sister Florentine (Cecelia) Goulet died peacefully at Villa Saint Vincent on Tuesday, April 7th, 2015. She was born in Gentilly, Minnesota on October 10, 1916, the youngest of five children born to John J. and Alphonsine (St. Martin) Goulet , second generation French-Canadians. At the age of two, Cecelia's mother died in the flu epidemic following World War I. Her schooling began in District #140, a one-room school in Polk County. After two years, Cecelia's father looked for a more challenging educational environment and settled on Mount Saint Benedict Academy. Cecelia came naturally to a love of music, as her father played the violin and the family sang songs of the day in three and four part harmony while milking the cows. At Mount Saint Benedict Academy, Cecilia's love of music and the arts flourished. At the age of ten, she felt drawn to religious life at Mount Saint Benedict, where her older sister, Sister Anne, was already a member. Cecelia became a postulant in September of 1932, received the name Sister Florentine as a novice in 1933, and shortly after while in temporary commitment, was assigned to assist Sr. Gertrude Knopke, the music instructor at Assumption Convent in Barnesville, Minnesota. Sister Florentine made Final Vows in 1937. She continued as an educator and music teacher in other parishes of Red Lake Falls, Mahnomen, Lefor in North Dakota, Crookston, and Mahtomedi. While at Mahtomedi, she received a Bachelor of Arts from the College of St. Catherine with a major in music. Other professional preparation was at Mount Marty College, Yankton, SD, Wisconsin State University in Madison, and Columbia University in New York City. It was also while in Mahtomedi that Sister Florentine recognized the amount of talented artists and musicians in the White Bear Lake Area. Because of this she organized a meeting of several people that became the beginnings of the White Bear Lake Arts Council. Today, now named the White Bear Lake Center for the Arts, it continues to provide a gateway to diverse arts experiences. As early as 1953, Sister Florentine realized that she was having difficulty hearing. By 1963, she realized that her impairment would necessitate a change in ministries. In 1975, she pursued and was accepted at the Graduate School of Counseling at Gallaudet University in Washington, D.C., where she successfully completed a course in CUED speech. When Sister Florentine returned to Minnesota, she joined the staff of Shekeda Hearing, Inc. in White Bear Lake, providing audiological services especially to long-term care facilities, group homes, and industrial hearing conservation programs. She also participated in the Peer counseling Program developed by the University of Minnesota. While aiding seniors with hearing disabilities, Sister Florentine also served as their friend, confidant, and advocate for needs that were otherwise unmet, especially those needs involving legislation and compliance with existing laws. She appeared on TV Channel 5 Eyewitness News in Minneapolis as the Health Expert of the Day. In 1992, the Minnesota Foundation for Better Hearing and Speech recognized Sister Florentine for her dedication to improving the lives of older Minnesotans by presenting its Professional Service Award to her. In addition to her work with the hearing impaired, Sister Florentine was very active in the parish of St. Louis the King in St. Paul. In a farewell tribute in 1994, the pastor cited her keen appreciation for the liturgy as the obvious font of her faith-filled life of commitment to God, to her Benedictine community, and to the Church at large. In August of 1994, Sister resided in Olso to aid the pastoral administrator. She returned to the monastery in 1995, where she helped her community members and others in the Crookston community with hearing loss. Sister Florentine was preceded in death by her parents, her sisters, Sr. Anne and Caroline (Goulet) Brunelle, and her brother, Leonard. She is survived by nieces and nephews, friends, and the members of her monastic community. Mass of Christian Burial will be held at 11:00 a.m., Monday, April 13, 2015, at the Mount Saint Benedict Monastery in Crookston, with Msgr. Roger Grundhaus, presiding. Visitation will be on Sunday from 5-7:00 p.m., with a 7:00 p.m. prayer service, and also for one hour prior to the funeral. A.W. Cunningham, one of the pioneer residents of Grand Forks, lost his life shortly after noon Sunday as the result of a deplorable accident, or possibly as the result of foul play. His body was found by Officer Trent about 12:30 p.m. beside the Northern Pacific railway track in the rear of the North Dakota Liquor Institute, near the corner of north Third street and Griggs avenue, shortly after the passage of the Northern Pacific eastbound passenger train by that point. There is a slight curve in the track at this point, and as the train rounded the curve, the engineer, W.F. Andrews, noticed a man lying beside the track. He had not time enough to stop the engine, but the man was apparently near enough to be in danger. Just as the engine passed the postrate man, however, he raised his head slightly, bringing him nearer to the train and it is supposed that he was struck by a projecting car step or tool box. A deep gash in the forehead was the only mark of injury. The jury, composed of James Twamley, John Smith and William Flynn, returned a verdict of "accidental death from injuries received by being struck by a Northern Pacific engine." It was discovered that his pockets had been rifled of their contents, both of his trousers pockets having been slit open. He only had a small amount with him in change at the time, however. It is possible that the highwaymen who robbed him were responsible in some way for his death. The deceased had been for a number of years in the employ of H.H. Bailes, the contractor, as foreman of a crew of carpenters and was regarded as a model workman. Mr. Cunningham was a native of Ontario, and was 57 years of age. He was a graduate of the University of Toronto, and was for a number of years engaged in teaching. He came to the Forks in 1887 and had resided in that city ever since. He leaves bereaved a widow, three daughters and three sons. Two brothers reside in British Columbia and one at Sault Ste. Marie. One brother and one sister live in Ontario. The funeral took place from the residence, 308 Grand avenue this morning at 10 o'clock and was private, friends of the family only being present. Arnold Benson, 91, of Duluth, Minnesota, and formerly of Crookston, Minnesota, died Monday, April 6, 2015, at Essentia Health-St. Mary's Medical Center in Duluth, with his family at his side. The funeral service for Arnold will be held at 10:30 a.m., Saturday, April 11, 2015, at St. Paul's Lutheran Church in Crookston with the Rev. Bill Reck, officiating. Visitation will be at the church for one hour prior to the service. A graveside service will be held at 2:00 p.m. at the Stephen Cemetery in Stephen, Minnesota. Roger Leslie Hinkley, 76, of Halstad, Minnesota, died early Thursday evening, April 2, 2015, at Sanford Health in Fargo, with his loving family at his side. Roger was born in Crookston, Minnesota, on August 18, 1938, the son of Irie and Rena (Wilkens) Hinkley. He graduated from Crookston Central High School in 1956. Roger enlisted in the U.S. Air Force in August 1956 and served overseas in Korea from 1957-58. He was honorably discharged in 1961. On October 4, 1959 Roger was united in marriage to Janice Sandberg at the Yellow Medicine Lutheran Church in Hanley, MN. Over the years their marriage would be blessed by the births of their five children. Their family lived in Grand Forks, North Dakota 1961 to 1997 and sadly, like many others in Grand Forks, lost their home to the flood. He was employed at the Massey Ferguson Implement Company until 1989. From 1991 - 1993 he worked at Crookston Implement, and from 1994 - 1999 at The Garden Hut. They moved to Halstad in 1999 and Roger began working at Valley Hardware. Roger and Janice were devoted members of United Lutheran Church in Grand Forks and Roger served on the church council for several years. Roger was a leader and coordinator for the Boy Scouts of America through United Lutheran Church. He was a member of the BSA Order of Arrow, and received the BSA Coordinator of the Year award in 1989. During Roger's life in Halstad he served on the church council of Halstead Lutheran Church. He was involved in many projects and activities though out the community. Roger and Janice enjoyed traveling, especially the many 'road trips' taken to visit family. Roger cherished his time at his cabin on Maple Lake. Roger is survived by Janice, his beloved wife of 55 years; their five children and families: Deborah (David) Lucas of Norfolk, VA, John (Pauleen) Hinkley of Halstad, Minnesota, Sandra Hinkley of Eagan, Minnesota, Carol (Derrick) Leas of Rock Lake, North Dakota, and Thomas (Rachelle) Hinkley of Fargo, North Dakota; eight grandchildren: Michael (Cheryl) Lucas, Shane Lucas, Katie (Shawn) Zabel, Nathan(Holly) Hinkley, Heather (Jason) Konschak, Alyson Leas, Travis Hinkley, and Andrea Hinkley; five great-grandchildren: Noah, Joshua, and Addison Lucas, Reese and Tegan Zabel; his sister Betty (Stanley) Johnson of Crookston; and many sisters-in-law and brothers-in-law, nieces, nephews, cousins, and extended family. He was preceded in death by his parents, Irie and Rena. May god richly bless the memory of Roger Leslie Hinkley. A memorial service celebrating the life of Roger Hinkley will be held Wednesday, April 8, 2015, 11:00 am at Halstad Lutheran Church, Halstad, Minnesota. Visitation will be one hour before the service. In memory of Roger, the family requests to please make donations to Halstad Lutheran Church. Samuel Edward Krieger, 67, of East Grand Forks, Minnesota, died on Friday, April 10, 2015 at his residence. Born May 25, 1947, in Jamestown, North Dakota, he was the son of the late Edward R. and Emma Krieger of Drayton and Jud, North Dakota. After graduating from high school in Clarksburg, CA, he helped move his parents and siblings to North Dakota. Sam was drafted into the Army in 1967. He served as a Spec 5 in the 101st Airborne Division in Viet Nam. While in the military he received 5 medals of honor. He received an Honorary Discharge in 1972. After graduating from NDSCS and UND, he worked in the parts division for John Deere in Grand Forks for a number of years until opening his own repair shop in East Grand Forks. He enjoyed working on all types of farm equipment and visiting with his customers. Upon retirement, he enjoyed gardening to its fullest. His bountiful crops of tomatoes, squash, melons and all types of produce will be long remembered by everyone whose life he touched. Sam also enjoyed auction sales, he and his friend Paul Barrett, attended as many as they could, looking for machinery treasures. Surviving are his siblings, Sally Entzi, Ellendale, North Dakota, Marilyn (Merlin) Erickson of Abingdon, Maryland, Jerry (Madonna) Krieger, Sioux Falls, South Dakota, Violet (John) Krieger-Unrau, Walhalla, North Dakota, and Duane (Cindee) Krieger, Moorhead, Minnesota, 12 nieces and nephews, four step-nieces, three great-nephews and one great-niece. Preceding him in death were his parents, Edward and Emma, also sister and brother in law, Doris and Pastor Randy Bjerken. Visitation will be held on Friday, April 17, 2015 from 9 - 10 am at Dahl Funeral Home in EGF, Minnesota with the Memorial Service to follow at 10:00 am. Burial will be in the Assembly of God Cemetery, Kulm, North Dakota. Curtis Stegman officiating. Military rites to follow the service. John P. Eggebraaten, age 88 of East Grand Forks, Minnesota, passed away on Tuesday, April 14, 2015 at Altru Hospital in Grand Forks, North Dakota. John Peder Eggebraaten was born on August 12, 1926 in Grand Forks, North Dakota, the son of Arthur and Helga (Anderson) Eggebraaten. John grew up in Fisher, Minnesota, and then attended the AC in Crookston, Minnesota. On June 15, 1947 he was united in marriage to Joan Porteous in East Grand Forks, Minnesota. He farmed in the Fisher, Minnesota, area with his father. In 1949 he began employment for Adolph Lund in East Grand Forks and continued working there until 1950. He then returned to farming in the Fisher area until retiring in 1985. John was very proud of his children, grandchildren and great-grandchildren. He naturally gravitated towards children whenever they were around. John and Joan were snowbirds every winter for over the past 25 years, going to the Bonita Springs FL area. They traveled with their various campers and enjoyed many different cruises, playing cards and games with their friends. John loved hunting for deer and elk. He enjoyed several different crafts, making lawn chairs, wood products, and lamps. He loved driving around the fields throughout the summer inspecting the crops. John loved barbershop music and was a part of the local barbershop chorus for many years. John was preceded in death by his parents; one brother Bernard and one sister Doris; two granddaughters, Rebecca Eggebraaten, Daun Paskvan and one great-granddaughter, Addison Czapiewski. Funeral Service: 10:30 AM on Monday, April 20, 2015 in Trinity Lutheran Church, Fisher, Minnesota. Visitation: 2:00 to 4:00 with a 3:30 PM Prayer Service on Sunday, April 19, 2015 in Dahl Funeral Home, 2029 Central Ave. NW, East Grand Forks, Minnesota. and also one hour prior Funeral Service on Monday in Trinity Lutheran Church. Grand Forks Herald: Word has been received in the city of the sudden death at Dauphin, Man., Tuesday, of M. K. Bradford, formerly a resident of East Grand Forks, and husband of Mrs. M. K. Bradford, who has been residing in that city for some little time. Mr. Bradford dropped dead on a train at Dauphin Tuesday, heart failure being the cause of his sudden taking off. Mr. Bradford is a brother of Mrs. L. E. Flint of East Grand Forks, and the son of Mr. and Mrs. J. G. Bradford, of Staples, Minn. The latter two arrived in East Grand Forks yesterday, and Mr. Bradford, accompanied by Mrs. Flint, left last evening for Winnipeg, Man., to take charge of the remains. The body will be returned to East Grand Forks immediately. Mr. Bradford is well known in both cities. He resided in East Grand Forks for about ten years, during which time he was employed by the Northern Pacific railroad. While there he was wedded to Miss Anne Stacey, daughter of Dr. Stacey, who is well known in both cities. After leaving East Grand Forks, Mr. Bradford went to Mandan, N. D., where he was employed for some time. For about two years he has been a conductor on the Canadian Northern Railway. Mrs. Bradford and three children, Ione, Evelyn, and Clifford, are at present residing in Grand Forks. Aside from his wife and children, he leaves his parents, Mr. and Mrs. J. G. Bradford, a sister, Mrs. L. E. Flint, and a brother, Charles Bradford. The latter two reside in East Grand Forks. It is with heavy hearts and deep sadness, that our beloved mother, grandmother, sister and friend, Barbara F. Pender passed away on Monday, April 13, 2015 at Altru Hospital in Grand Forks, North Dakota, at the age of 91 years. Barbara Florence Pender was born on July 30, 1923 in Bloomington, Illinois, the daughter of Joseph and Charlotte (Pine) Moews. In 1939 the family moved to Oklahoma City, Oklahoma, where Barbara graduated from high school. Following her high school graduation she worked at Tinker Field Air Force Base in Oklahoma City, OK. While working there she met and married James Ray "Sus" Pender. To this union, three children were born, Shirley, Jim and Chuck. They moved to East Grand Forks, Minnesota, where she began employment at American Crystal Sugar Company in East Grand Forks, Minnesota, working campaigns. Barbara then started working full time at American Crystal Sugar as a Payroll Clerk before retiring in 1988. Barbara enjoyed bowling, dancing, reading and traveling around the United States during her retirement visiting family and friends who she loved so dearly. Loving family members of Barbara include her children, Shirley Forlenza of East Grand Forks, Minnesota, Jim (Terri Staples) Pender of East Grand Forks, Minnesota, and Chuck Pender of Las Vegas, Nevada; two grandchildren, Denise (Steven) Rosso of Union Beach, NJ, and Michael Forlenza of Staten Island, NY; three great-grandchildren, Jessica, Jaclyn and Steven; one great-great-granddaughter, Natalee; two sisters, Charlene Crooks of Dodge City, KS and Patricia Reece of Oklahoma City, OK; sister-in-law, Elsie Moews; along with many nieces, nephews and great friends. Barbara was preceded in death by her parents; two brothers, Joseph "Jack" Moews and Andrew James Moews; son-in-law, Mike Forlenza. In lieu of flowers, the family prefers memorials to the charity of their choice. Blessed be the memory of Barbara F. Pender. Funeral Service: 3:00 PM on Saturday, April 18, 2015 in Dahl Funeral Home, 2029 Central Ave. NW, East Grand Forks, MN. Visitation: 5:00 to 7:00 with a 6:30 PM Prayer Service on Friday, April 17, 2015 in Dahl Funeral Home, East Grand Forks, MN and also one hour prior Funeral Service on Saturday. Sister Maryanne Arends, 100, died October 16, 2008, at Villa Saint Vincent Nursing Home in Crookston, Minnesota. Agnes Regina Arends was born August 29, 1908, in Mary Township near Ada, Minnesota, the sixth of ten children of John and Mary Schmitt Arends. Agnes received her elementary education at North Star Elementary School, Norman County. In 1926, after graduation from Mount Saint Benedict Academy, she joined the Monastic Community and was given the name of Sister Maryanne. She made her final profession of vows August 12, 1940. Sister Maryanne Received a Bachelor of Arts degree in elementary education from Mary College, Bismarck, North Dakota, where she made the dean's list. After graduation she continued her studies at the Mary College Indian Studies Institute. She taught elementary grades in Red Lake Falls, Bemidji, Mahnomen, East Grand Forks, Moorhead, Crookston and Rosen. In addition to teaching, she served as principal at Bemidji, Moorhead and Rosen. For two years Sister Maryanne assisted Sister Julie Wokasch on the Whit Earth Indian Reservation at Holy Redeemer Parish, Ogema, where she taught religious education classes, visited the homes and made a study of Native American art and customs. She loved to go fishing or just spend time boating on near-by White Earth Lake. From 1968-1970 Sister Maryanne was director of novices for the monastic community. During her years of retirement she was in charge of Mount Saint Benedict Gift Shop where her many hand-crocheted doilies were the chief attraction. Sister Maryanne possessed natural gifts in the arts and crafts. She could take the humblest of materials and create something artistic and beautiful. It was always a special day at the monastery when the Arends family would gather to celebrate anniversaries with the three Arends sisters, Sisters, Digna, Erica and Maryanne. Sister Maryanne will be remembered for her gentle. loving disposition. When it became difficult for her to get around, she still managed to get her wheelchair into the chapel where she spent much time in prayer. As a resident of the Villa, she continued this practice. Sister Maryanne was preceded in death by her parents, brothers Nicklaus, John, and George and five sisters, Rose, Eva, Alice, and Sisters Digna (Christine) and Enrica (Mary). She is survived by her sister Loretta Hemberger, Halstad, Minnesota. Pearl Clarise Goosen, 92, of Crookston, Minnesota, died Saturday evening, April 18, 2015, at the Villa St. Vincent in Crookston with her four children and other family members at her side. The funeral service for Pearl Goosen will be held on Friday, April 24, 2015, at the Stenshoel-Houske Funeral Home in Crookston with The Rev. Jo Gast, officiating. Visitation will be for one hour prior to the service. Interment will be at St. Paul's Cemetery, rural Euclid, Minnesota, later in the afternoon. Pearl Clarise (Okeson) Goosen, 92, of Crookston died on Saturday evening, April 18, 2015, at the Villa St. Vincent in Crookston with her four children and other family members at her side. The funeral service for Pearl Goosen will be held at 2:00 p.m., Friday, April 24, 2015, at the Stenshoel-Houske Funeral Home in Crookston with the Rev. Jo Gast, officiating. Visitation will be for one hour prior to the service. Interment will be at St. Paul's Cemetery, rural Euclid, Minnesota, later in the afternoon. Pearl was born October 22, 1922, in Battle Lake, Minnesota, to August and Tillie (Rosenquist) Okeson. She was baptized and confirmed in the Lutheran faith at Eagle Lake Lutheran Church. She attended country school for eight years at District 72 in Eagle Lake Township. Pearl graduated from Battle Lake High School in 1941. She moved to Davenport, Iowa, from 1942 to 1944, working at Rock Island Arsenal in Rock Island, Illinois. She joined the U.S. Navy WAVES in November of 1944 and served in naval communications in Washington, D.C. until her honorable discharge in April of 1946. On August 5, 1950, she was united in marriage to Herman Carl Goosen at Eagle Lake Lutheran Church in rural Battle Lake. The couple made their home in Angus, Minnesota, where they farmed. In 1952, they moved to Crookston where Pearl worked at various restaurants. She enjoyed reading, embroidery and was an avid Scrabble player. Pearl is survived by her four children: Beverly (Thomas) Larson of Edina, Minnesota, Sandra (Jan) Thimmesch of Eden Prairie, Minnesota, Shirley (Peter Heydt) Nielsen of Crookston and Robert Goosen of Crookston; seven grandchildren: Angela Skrade, Marcia (Steven) Hagland, Joshua (Natalie) Nielsen, Brandon Nielsen, Jason Thimmesch, Jeremy Thimmesch and Sara Thimmesch; ten great-grandchildren: Damian, Ava, Mercedes, Quentyn, Haylee, Kevin, Riley, Cora, Piper and Katherine; one niece, JoAnn Lillevold, one nephew, Keith Lillevold and several cousins. She was preceded in death by her parents, her husband, Herman on October 4, 1968, a son, James Herman in 1951, a sister, Eunice Lillevold and two brothers, Ferris and Donald. Memorials are preferred to the St. Paul's Cemetery. A private graveside service for Bernice E. Peterson, 96,will be held at Greenwood Cemetery on Wednesday, April 22. She died on April 18 at Colonial Acres Care Facility in Golden Valley, Minnesota. Bernice Peterson was born May 24, 1918 in Grand Forks, North Dakota. She lived with her parents on a farm south of Warren until she married Kenneth Peterson on September 19, 1942. Kenneth died on February 6, 1979. Kenneth and Bernice lived and farmed south of Warren. Bernice lived on this farm until 1989 when she moved to St. Louis Park. In addition to her husband Bernice was predeceased by sons-in-law Dennis Knudsen and Bob Slocumb. Bernice is survived by three daughters Bonnie Knudsen Hayes, Beatrice Oberg, and Beverly Slocumb Johnson and their husbands Paul, Jim, and Jerry. Also by four granddaughters, and four great grandchildren. Peter McCoy, of East Grand Forks, left yesterday for Glendive, Montana, where he was summonded by a telegram telling of the death, 60 miles from that city, of his partner in contract work, Thomas Smyth, aged 68 years. Mr. Smyth was engaged in superintending some railroad work near Glendive and was found dead in his bunk Tuesday morning. He is well known by a number of Crookston people, having made his home at the Palace Hotel for a number of years. Mr. McCoy will take the body to St. Paul, where the funeral will take place, the deceased having some relatives there. LeRoy "Bud" Hamre, age 81, of Erskine, Minnesota, passed away on Wednesday, April 22nd, at his home. A memorial service will be held at 11:00 a.m. on Monday, April 27th, at Grace Lutheran Church in Erskine with the Rev. Timothy Lundeen officiating. Interment will be in Fairview Cemetery, rural Erskine. Visitation will be held from 5:00 p.m. to 7:00 p.m. with a 5:30 p.m. prayer service on Sunday, April 26th, at Grace Lutheran Church in Erskine. Military honors will be provided by the Bailey-Throne American Legion Post #596 of Erskine and the National Guard Honors Team. Arrangements are with the Carlin-Hoialmen Funeral Home of Erskine and messages of condolence may be sent at www.carlinhoialmen.com. LeRoy Clifton Hamre was born on July 4, 1933 in Lessor Township, rural Erskine, Minnesota to parents Bennie and Mabel Hamre. He was baptized and confirmed in the Lutheran faith at Grace Lutheran Church in Erskine. He grew up in Lessor Township and graduated from Erskine High School in 1951. Bud worked in the Erskine area until he entered the United States Army in March of 1956. He served in active military duty until December of 1957 and then continued his service in the Army Reserve for several years. Bud was united in marriage to Amy Elizabeth Nikolayson on June 27, 1959 at Grace Lutheran Church. At that time, Bud was employed with the Minnesota Highway Department (MNDOT) in Mankato, Minnesota. They lived there for a year before transferring to the Crookston, Minnesota location where he worked as a mechanic and shop supervisor. They moved to their home near Erskine in 1988 and Bud retired from MNDOT in 1990. They lived and enjoyed their retirement years at their home near Erskine. Amy passed away on February 9, 2003. Bud was a life-long member of Grace Lutheran Church and a member of the Bailey-Throne American Legion Post #596 of Erskine. He liked hunting and fishing; time spent on his tractor and working in his barn and shop. Bud was a gentle soul who was always willing to lend a helping hand to anyone. Most of all, he loved the time spent with his family. Bud is survived by his son, Wayne (Marie) Hamre of Bemidji, Minnesota; daughter, Teresa (Bruce) Nelson of Lake Park, Minnesota; four grandchildren, Aaron and Benjamin Hamre and Mason and Laina Nelson; four siblings, Don (Bev) Hamre of Erskine, Marlys (Eivind) Lindseth of McIntosh, Minnesota, Bennett (Janet) Hamre of Erskine, and Elaine (Mitch) Olson of Pelican Rapids, Minnesota; brother-in-law, Dennis (Marcy) Nikolayson of Erskine; sisters-in-law, Clara Hamre of Erskine, and Shirley Hamre of Wadena, Minnesota; and many nieces and nephews. He was preceded in death by his wife; his parents; brothers, Eugene, Byron and Samuel; and sister-in-law, Millie Hamre. Last Thursday morning at St. Vincent's hospital in Crookston occurred the death of Samuel Howard Johnson, second son of Mr. and Mrs. Peter Johnson, for many years residents of Euclid, but latterly of Sleeman, Ontario. "Sam," as he was best known among his friends, was born in Euclid, July 16th, 1886. Though but twenty-three years of age, he had known more than the ordinary portion of suffering., as a complication of diseases had kept him practically bed ridden for the past two years. Although he lived most of the time with his parents on their Canadian claim, his longings were ever toward "the States" and Euclid, which he counted as his home. A couple of weeks ago, when the opportunity presented itself for him to return in the care of friends he decided to attempt the journey to Euclid to join his father, who is spending the summer there. Bidding a brave farewell to his mother and sisters, he set out, accompanied by his elder brother and a neighbor family who were returning. He was able to reach Crookston, but there his strength failed, and he was taken to St. Vincent hospital where, after ten days of bravely borne suffering, death released him. He was of a bright jovial disposition and he will be sadly missed among the younger set both at Euclid and at Sleeman. The remains were held in Chesterman's undertaking rooms until Saturday morning to permit of the arrival of the mother, and were then taken to Euclid where, after the funeral service at the Presbyterian church, they were laid to rest in the Euclid cemetery. The bereaved family have the sympathy of the entire comunity in their loss which, because of loving service so long rendered, is especially keenly felt. He went to the pasture to look after a cow and after he had been absent for five hours the members of the family began to worry about his absence and a search was instigated. Gordon "Gordy" Bubendorf, age 66, passed away peacefully at his farm in East Grand Forks, Minnesota, with his loving family by his side after a courageous battle with cancer. Gordy was born and raised in East Grand Forks, the son of Richard and Ann Bubendorf on February 9, 1949. He grew up and attended school in East Grand Forks and graduated from East Grand Forks Senior High School. On December 28th, 1968 Gordy was united in marriage to Arlene Zabel. They moved to Vallejo, California, where Gordy served in the Navy during the Vietnam War. In 1970 Gordy and Arlene returned back to East Grand Forks, and raised their family at the farm. Gordy resumed his life as a farmer, and spent most of his life farming. After retiring from farming, Gordy and his brother Jim bought Minnkota Iron, and ran the operation together for several years. Gordy eventually retired and spent his days enjoying life. Gordy enjoyed fishing, camping, waterskiing, golfing, reading and spending time with his children and grandchildren. During retirement Gordy and Arlene spent summers in Minnesota and winters at Ft. Myers, Florida. Gordy is survived by his wife of 46 years, Arlene Bubendorf, East Grand Forks, Minnesota; daughters, Tami (Randy) Schuster, Champlin, Minnesota; and Katherine (Dale) Bangert, East Grand Forks, Minnesota; son, Robb Bubendorf (fiancee, Nikki Novak), Savage, Minnesota; seven grandchildren and one great grandson; sister, Diane (Bob) Kobetsky, Fertile, Minnesota; brothers, Jim (Kristi) Bubendorf, and John Bubendorf, Bend, Oregon; and many loving friends. Gordy was preceded in death by his parents, Richard and Ann Bubendorf; infant sister, Karen; sister-in-law, JoAnn (Helmowski) Bubendorf; and daughter-in-law, Monica (Sattler) Bubendorf. In lieu of flowers memorials to Altru Hospice are preferred. Helen Elizabeth Horgeshimer, 61, of Fertile, Minnesota, died on Sunday, April 19, 2015, at her residence. She was born on March 28, 1954, in Newport, Rhode Island, to Buddy and Lenora (Judy) Horgeshimer. As her father was in the United States Navy, Helen lived in many cities around the United States. Following her graduation from Dublin, CA, High School in 1972, Helen began working as a Certified Nursing Assistant and lived Terrebonne and Mentor, Minnesota, Spring Field, OH, Grand Island and Lincoln, Nebraska. Helen had the privilege of caring for her Grandma Horgeshimer until her death. Since 1999, she lived in Crookston, Minnesota, and, as she would say, "entertained the customers" at Hardee's. In 2009, Helen moved to Sunshine Court in Fertile to be closer to family. Helen was strong willed and never wanted to burden anyone. Yet, her caring nature always thought of others more than herself. Her infectious smile brightened others life's that in turn made Helen happier. She enjoyed answering questions from Wheel of Fortune or other TV shows -- and actually knowing most the answers prior to the contestant responding. She was an excellent cribbage and card player. Helen will be deeply missed by those who knew her. Helen is survived by her brother, David (Cindy Hill), Fertile, Minnesota; step-mother, Mavis Horgeshimer, Bemidji, Minnesota; half-brother, John (Mindy), Horgeshimer, Indiana; and steps siblings: six brothers and four sisters. She was preceded in death by her parents and one brother, James Horgeshimer. Funeral service will be on Saturday, April 25, 2015, at 2 PM in the Erikson-Vik-Ganje Funeral Home, Fertile, Minnesota. Visitation will be one hour before the service at Erikson-Vik-Ganje Funeral Home, Fertile, Minnesota. Burial will be in the Concordia East Lutheran Cemetery, Fertile, Minnesota. Jerome "Joe" Francis Bushy, 72, of East Grand Forks, Minnesota died Monday, April 27, 2015, at Mayo Clinic Hospital, Methodist Campus in Rochester, Minnesota, following a brief illness. Joe was born December 5, 1942 in Crookston, Minnesota the son of the late Robert and Bernice (Lussier) Bushy. He grew up in Crookston and graduated from Sacred Heart High School in East Grand Forks, Minnesota in 1961. Afterwards, he served in the United States Navy from 1962-1965. Upon his return he worked for Ken Weber at the Potato Bag Supply Co. He married Carol Kuzel in Tabor, Minnesota on December 27, 1968. He then worked for the Minneapolis Tribune, USA Today, and Fargo Forum for 25 years. He then worked for both Dietz Business Promotions since 1994 and Ralph Engelstad Arena since 2001. He is survived by his beloved wife Carol of East Grand Forks; children, Jay (Christy) Bushy of East Grand Forks, Minnesota; Jill (Jarred) Close of St. Paul, Minnesota; Jon (Melissa) Bushy from Thief River Falls, Minnesota; and Jan (Brady) Storhaug of Golden Valley, Minnesota; grandchildren, Lexi, Brendan, Callie, Evan, Elizabeth, Owen, and Nicholas; brothers, Bobby (Colleen) Bushy and Pat (Kathy) Bushy all of East Grand Forks, Minnesota; Dennis (Linda Magner) Bushy and Mike (Jackie) Bushy both of Moorhead, Minnesota; Larry (Steve) Bushy Benoit of San Francisco, CA; sisters, Paulette (Robert) Larson of Las Vegas, NV; and Elizabeth (Ron) Wilkens of Woodbury, Minnesota. Memorial Services: 10:30 AM on Wednesday, May 6, 2015 at the Sacred Heart Catholic Church, East Grand Forks, Minnesota. Visitation: 5:00 pm to 7:00 pm, Tuesday, May 5, 2015 Sacred Heart Catholic Church, East Grand Forks with a 6:30 pm prayer service.